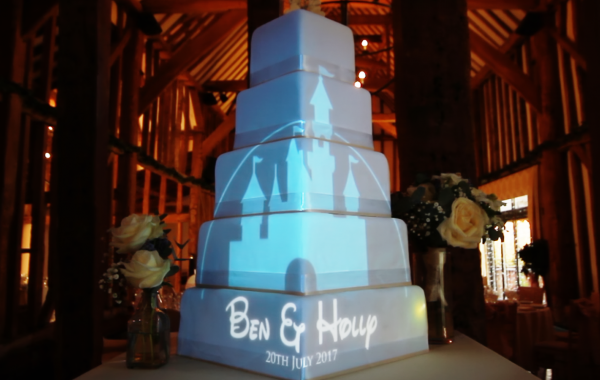 Our Projection Mapped Wedding Cakes are the perfect way to make your Wedding Cake a truly exciting part of your wedding day. 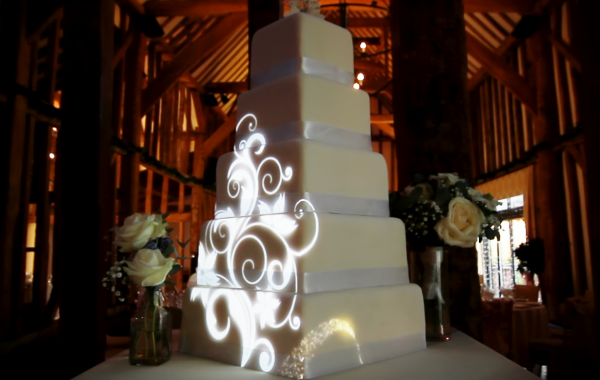 Our custom made videos, tailored to suit your wedding theme, are projected onto the surface of the cake, bringing the cake to life and providing a truly dynamic experience for the cake cutting! Then in evening, we turn the cake into a digital guest book by using a graphics tablet to write and draw directly onto the surface of the cake, making it a fun and interactive experience for everybody.